Clive Christian Nottingham; painted kitchens of grand and iconic design… Pieces of bespoke furniture that offer beauty, indulgence and elegance! The classic designs are timeless, with the construction built to last… The traditional classic hand painted kitchen with an eggshell finish and distressed over with an antique glaze, can unfortunately appear to look yellowed and tired over time. The overall cosmetic appearance (paint work) can start to look dated; leaving these statements of grandeur in need of fresh new look. 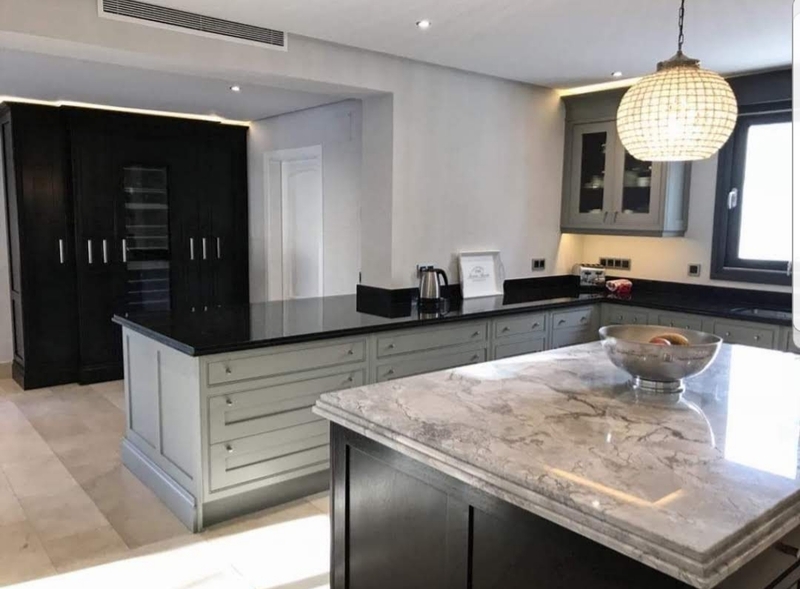 Although the Clive Christian Nottingham showroom is no longer around, many of their kitchens are; you may well own one… This is where Russ Pike Interiors can help! Clive Christian Furniture Co’ began in the 1970s by transforming the utilitarian into the pleasurable. Kitchens were simply tool rooms, cooking merely functional. Clive Christian’s vision showed this room for what it was, the heart of the home, a social hub of art, warmth and conversation. Breaking down boundaries and condemning convention, Clive Christian implemented a statement chandelier into the kitchen of his 19th century Cheshire manor. This ornate fixture was the centrepiece of Clive Christian’s very first bespoke design – the Victorian Kitchen. This was a grandiose resurrection of the lavish interiors of the Victorian era, symbolic of Clive Christian’s devotion to tradition and culture, history and luxury. (“The House of Clive Christian,” 2018). Two tone colour kitchens are very popular nowadays, with an emphasis on a mid to deep colours on the central island (should you have one) with a complimenting colour to the main kitchen units. Alternatively deeper base units and lighter wall units. 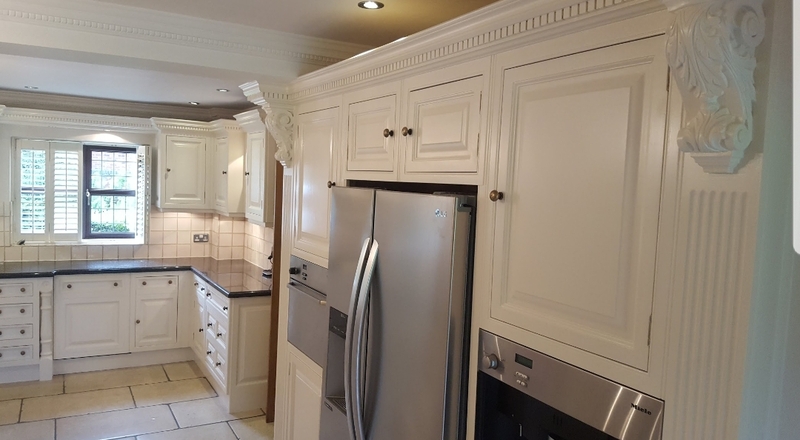 Russ Pike has been hand painting bespoke kitchens and furniture since 1986. He has worked directly for many of the leading kitchen manufacturers throughout the East Midlands and South Yorkshire region. 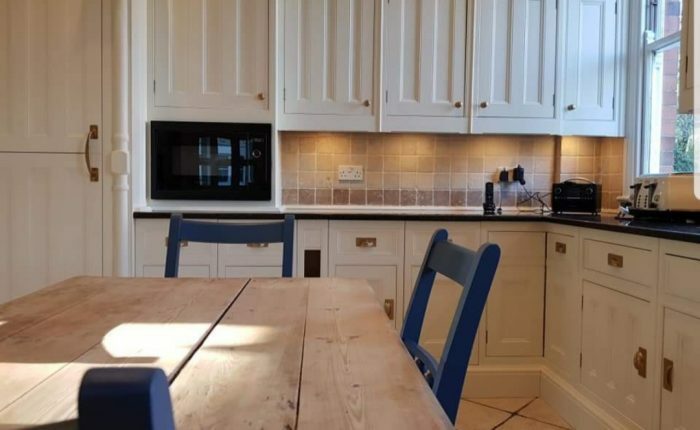 Nowadays he specialises in repainting existing painted bespoke kitchens and updating wooden and laminate kitchens of all types. My focus is on providing you with a beautifully hand painted kitchen that is lighter and brighter and so uniquely yours. 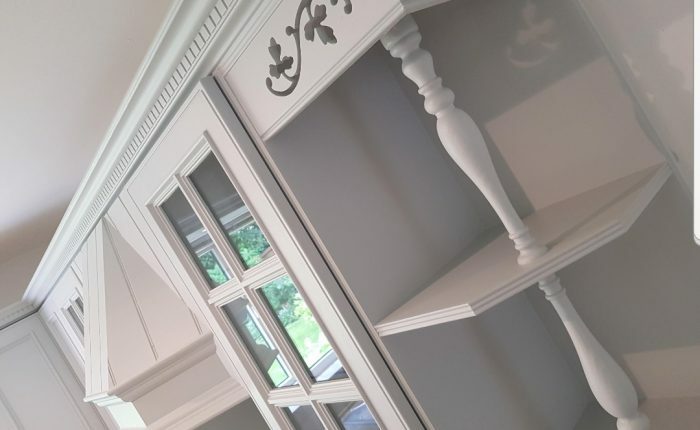 My sole aim is ‘excellence’ using the best tools, decorative paint techniques and top quality materials to ensure that you have a showroom standard finish that is stunning, durable and long lasting. I use the very best water born paints which have an A+ rating, are low in VOC’s and odourless, they are also child and pet friendly. Everything is painted, even the bits you don’t know you have as attention to detail is essential. 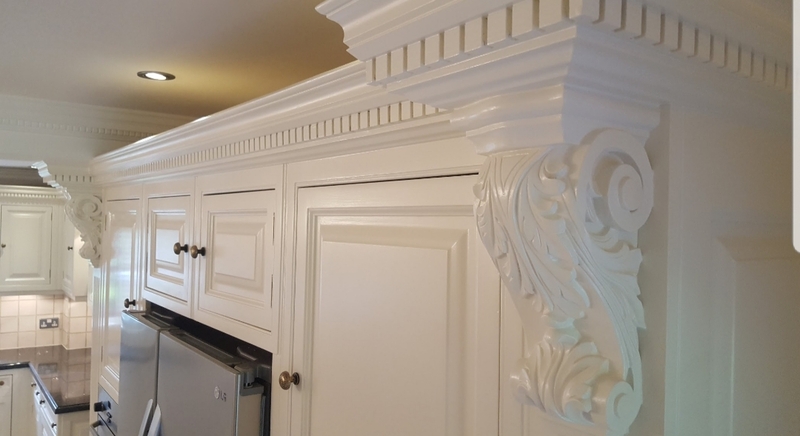 Nicks and knocks are repaired and gaps are filled giving you a seamless flow from cabinet to cabinet, cabinet to wall, cornice or light pelmet. 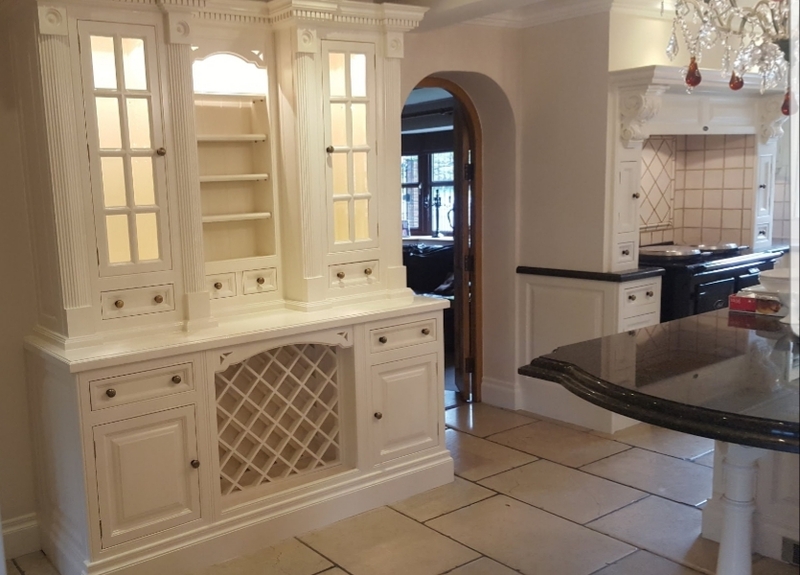 I bring knowledge, experience and fresh ideas to your painting project and never tire of seeing the transformation of your refurbished kitchen or furniture into something you’re proud of in your home. Just bought your new home but don’t like the kitchen? Then have it painted and put your own individual stamp on it with an almost infinite choice of colours. I also paint utility rooms, bedroom fitted and free standing furniture and studies with the same time and care taken in the preparation through to the final finish. 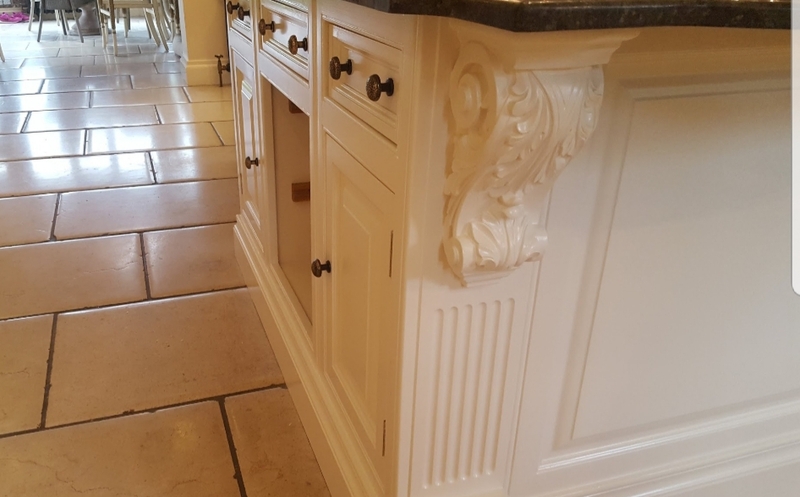 We form part of a unique nationwide group of specialist kitchen painters; Hand Painted Kitchens UK (HPKUK) whether it’s a contemporary style or a timeless classic, you can rest assured that Russ will create a beautiful hand painted kitchen design that complements your home and your décor.